What's wrong with this picture? The clue is in the shade, or lack thereof. Every parent remembers a visit to a playground in the middle of summer, when the sun-baked play equipment was burning to the touch. With all the trees planted as part of the landscaping years back for Farmview Fields, not one was planted near the play equipment to provide shade. This conspicuous omission is more common than one would think. In my experience, strategic planting of trees to shade park benches and play equipment is the exception rather than the rule. During my years in North Carolina, I decided to paddle upstream against this illogical paradigm by planting a river birch specifically to shade a park bench. A friend tended the tree through a drought or two, it quickly grew, and after several years was providing wonderful shade, at which point the park bench mysteriously disappeared, probably stolen for scrap. My words of wisdom, a la Chauncey Gardiner in Jerzy Kosinski's "Being There", is that a gardener develops a capacity to see into the future, because the act of planting requires imagining what the plant or tree will look like once it's grown. One actually puts oneself "there", in the world that will exist years hence. Gardening also encourages a participatory relationship with the landscape, a belief one can intervene to make things better. These seem to be rare traits. The only reason I can think of for not having planted shade trees here is that the playground surface consists of ground-up rubber tires, which the landscape designer may have wanted to keep free of leaves and everything else a tree drops. Still, it would be strange--a nature-phobic landscape plopped down in the middle of a park. It seems ever so simple, ever so minor, and yet in a world where problems resist solution, this small victory merits celebration at week's end. During this long, late-summer drought, seventeen raised garden beds at the Princeton High School have depended on water from this spigot. The beds have been much better used since the facilities staff were finally able to make the faucet function earlier this year. But what ever stays fixed? Last week, I found the faucet gushing water, even in the off position. I imagined they'd have to order a new part, then add the faucet to a long list of other tasks to be done. Several weeks? A month? I checked back today, and the faucet was repaired and fully functional. The wrapping tape is even school colors. Sing praise to the unsung. Cheers to the high school facilities staff! 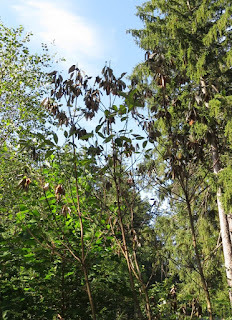 Nearby is some late-flowering boneset blooming, this fall in honor of those who set the school's bones right. I wish everyone could see a park like Harrison Street Park like a gardener does, not as static green but instead a place where every plant is part of a story that we help to write. As someone might compliment a friend on her earrings, in this photo we see nature's donned a neckless of river oats. "Hey, thanks for noticing," Nature might say. River oats is a native grass that typically grows along river banks, but was planted as an ornamental in the swale running under the footbridge. On the edge of the field, the riot of sunflowers is calling for attention--not for care but for appreciation from passersby. The sunflowers could be said to be celebrating the life of architect Michael Graves, because they were planted in a swale that receives water from Graves' parking lot, and so have enough soil moisture to thrive through this summer's droughts. Location, location. The sunflowers brighten the view from a bench that people in a hurried era sometimes even use for sitting. There's a feeling of empowerment that comes with being a gardener of the earth. The environment is not something static that we either dominate or are victimized by, but becomes something we can influence for better or for worse. It becomes something to tend, to nurture, a growth force to study and learn from, to steer and collaborate with. There's a bit of the lion tamer in a gardener, encouraging some plant behaviors, discouraging others. And with native plants, one wants something of the wild to survive in the domestic setting. In this photo, a common milkweed has popped up in a bed originally planted with great lobelia. Keep the milkweed in case a monarch comes by, says the wild gardener. Other aspects of the lion that is the park's nature are deleterious in the long run and so must be discouraged from the get go. Stiltgrass is inedible to wildlife, and can turn a flower bed into a chaotic tangle. Mugwort is mugging the great lobelias, and will completely displace them if not pulled out when the ground is soft in the spring. Horsetail is a native weed that looks gangly. Ragweed is a native that covertly spreads the allergenic pollen that goldenrod is wrongly blamed for. Canada thistle is a eurasian weed that spreads through flowerbeds. Scary stuff once it gets established, but if the lion taming gardener catches it early, and if the flower bed suffers no long lapses in attention, then tending the garden becomes more like scratching the belly of a kitten--more play and much less work. Where some might shake their heads and give up on this sweetbay magnolia, which this year has lost most of its leaves for lack of adequate water, the gardener sees a clever solution that requires almost no effort. The neighbor living next door to it has a sump pump that runs even on days when there's no rain. The sump pump water could be directed towards this planting, rather than left to discharge directly into a stormdrain where its water offers no benefit. And here, unnoticed by most park visitors, is a tree that can feed our optimism now and our bellies in the future. It's a thriving butternut, planted by Bill Sachs with help from Clifford Zink. 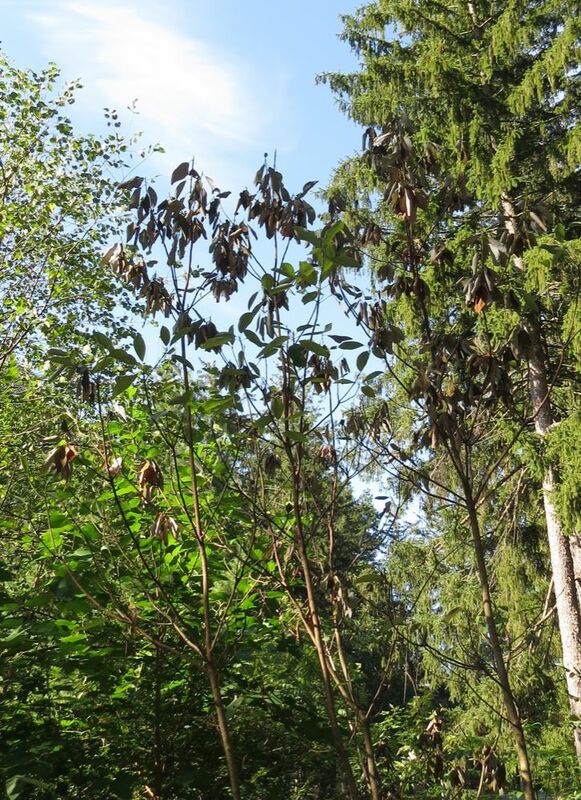 A native tree made rare by an imported disease, it is making a comeback thanks to Bill's propagation work and consistent followup through the years. These are the perks of getting to know a park's nature, to learn its stories and feel that sense of empowerment that comes from steering and collaborating with its growth energy. 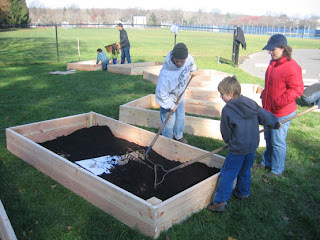 "Reserve your spot now for the Saturday 9/26 OASIS School Garden Tour. We will visit the school gardens at Hightstown High School and Littlebrook School, touring the gardens and hearing from the garden coordinators about curriculum integration. To reserve your space or for more info contact, Priscilla Hayes, priscilla.ellen.hayes@gmail.com." This is a great chance to meet like-minded people and see how gardening is being woven into the curriculum of local schools. Last call this fall for pulling stiltgrass out of places you don't want it to grow. Princeton's most ubiquitous grass is going to seed, and once the seeds mature, they'll scatter if you try to pull the plant. Also called packing grass, Microstegium vimineum, according to internet legend, came to the States nearly a hundred years ago as packing for porcelain from China. It gradually spread from its first sighting in Tennessee, the seeds carried by myriad means: foot, wheel, hoof, or in transported topsoil or hay. I liked its look when I first saw it in Durham, NC, in 1995, growing attractively along a stream. But its numbers exploded after the major disturbance of Hurricane Fran, and it soon became clear that this grass could grow almost anywhere, with no animal's appetite providing a balancing mechanism. In Princeton and elsewhere along the east coast, it now forms vast monocultures in many of our forests, typically growing to three feet high. From the perspective of wildlife, the result is a largely inedible forest, effectively shrinking our functional acreage of preserved land. But it also prospers as a three inch invader of lawns, spreading to displace much of what you thought was perennial turfgrass. People used to think it would only grow on low, moist ground, but I found it recently starting to form blotches in the Princeton Battlefield turf along the ridge. It can be recognized by the leaves, which are somewhat broader than regular turfgrass. Its voluminous seed production and lack of predators largely assures its ultimate victory, whether in nature preserves or yards, but gardeners with time and energy can still pick their spots and make a difference. This time of year, the green seeds will likely mature on the pulled stalks, so it's best to stuff them in black plastic bags and put them out for the trash, or pile them in a spot that's already infested, or where you can easily control any sprouts the next year. I've heard that pre-emergent treatments used for crabgrass can also be used on stiltgrass, as can very dilute (1% or even less) applications of glyphosate to the foliage. Because stiltgrass uses the "C4" photosynthetic pathway (most plants use the less efficient C3 mechanism), I thought they should come up with an herbicide that specifically disrupts that aspect of the plant's biochemistry. Then one could spray the stiltgrass and not damage other plants growing nearby. An internet search produced evidence of such a chemical found in some organism that lives on corral reefs, but I wasn't able to track down the authors of the article. Here's some natural beauty that arose out of human collaboration. Where once there was intensive mowing of turfgrass, there's now some lovely, fresh (nonallergenic!) goldenrod and the bronze plumes of native Indian grass gracing the border of Farmview Fields. The pleasure here is not only in the relaxed beauty swaying in a breeze, but also in the way it came about. A familiar sight in New Jersey is the detention basins (I call them "turf pits") in parks and developments, designed to catch and temporarily "detain" stormwater to reduce downstream flooding. Required by law, they are a sort of no-man's land, unused by people or wildlife--a sort of make-work project for mowing crews. The good news is that they can be transformed into large, attractive, low-maintenance raingardens that will actually do a better job of filtering the stormwater before it enters the nearby waterway. As the sign explains, a federal agency, the Partners for Fish and Wildlife, performs this transformation. All the municipality has to do is give permission, and commit to maintaining the planting for ten years. Maintenance at Farmview Fields has involved little or nothing beyond an annual mowing--far easier than the regular mowing previous required of the turf. It's a bit like signing a lease to have solar panels installed on your roof. There's no cost for the installation, and the only expense is that you pay lower electrical bills going forward. So, there's a commitment involved, which can always sound scary, but it's a commitment to do the right thing while spending less money than you were before. I'm particularly proud of this detention basin planting because it's an example of an idea I put forward, at that time as naturalist for Friends of Princeton Open Space, to get better results with less work, and the town agreed to go ahead with it. If you visit Farmview Fields, maybe to attend a baseball or soccer game, you can spot the planting in the lower corner next to Pretty Brook Drive, behind the soccer field along the Great Road. If I were to intervene at all in this landscape, it would be to reduce the number of Queen Anne's Lace (wild carrot--the same species as our domestic carrot), which was considered an invasive in midwestern prairies, and which has started to gain density in NJ. Reduction of purple loosestrife in the basin itself, too, would be a good idea, but the overall health of the native species is what matters most. This coming spring, Princeton and Partners for Fish and Wildlife, along with DR Greenway and the nonprofit I co-founded, the Friends of Herrontown Woods, will be collaborating on additional detention basin conversions, at Greenway Meadows and Smoyer Park. An email from Kip Cherry of the Princeton Battlefield Society included an invitation to a special event at the Battlefield--a ribbon cutting to celebrate preservation of the D'Ambrisi property, Sept. 16 at 10am in front of the Colonnade. There will be speeches, refreshments, and a tour that includes a visit to two ponds on the tract. The public is welcome. While the park itself is expanding by 4.6 acres, the Mercer Oak II at the battlefield is looking a little threadbare this summer. One of the progeny of the original Mercer Oak, transplanted after the original lost its last branches in a March windstorm in 2000, it has inherited an iconic position among Princeton's trees, with a wooden fence surrounding and interpretive signage to explain its significance. According to one website, the original Mercer Oak "became the symbol for Mercer County (named for the general), Princeton Township, the NJ Green Acres program, and other agencies." The wooden fence may keep the lawn mowers at bay, but not the insects. Oaks, according to entomologist Douglas Tallamy, support a vast diversity of insect species, which in turn feed the bird world, particularly in spring when birds need a high protein diet to feed their young. Usually, this sharing of plant tissue with insects doesn't affect the appearance of the tree, but this year many of the leaves are stripped to their veins. Kip has sent a sample off to Rutgers for identification, but when I stopped by, there were no insects to be seen, only the consequences of their work earlier in the season. My best guess, from an image search on google for similar leaf damage, is the species of cankerworm active in the spring. Another white oak nearby on the battlefield is showing far more severe symptoms, the source of which is unknown. Previous posts about the battlefield should show up at this link, or are searchable by typing "battlefield" into the search box. Writeups on other trees you might encounter at the battlefield include young 15/16th native chestnuts protected from mowers and deer by cages, the towering black locusts behind the Clark House (black locust is decay resistant and was popular for making fenceposts), two hicans (graft of pecan on hickory root stock), and the dogwoods lining the northwest field, contributed by the Dogwood Garden Club, that I keep trying to save from invasive vines. Where have all the fireflies gone? Gone to egg masses, every one. That's the partial answer I came up with after a friend emailed to ask me why she wasn't seeing fireflies. Though I'd seen many earlier in the summer in my backyard, around the time of 4th of July fireworks, I hadn't thought to look recently. Sure enough, not a one to be found in late August. "In mid-summer, mated females will deposit about 100 spherical eggs, singly or in clusters, in the soil or near the soil surface. Fireflies prefer moist soils, and will often choose to place their eggs under mulch or leaf litter, where the soil is less likely to dry out." But in that description lies a potential answer to my friend's deeper concern, that fireflies in general are becoming harder to find in Princeton, even in July when the adults would normally be active. Note that the preferred habitat for laying eggs is moist soil where mulch or leaf litter is present. The trend I've seen in Princeton landscaping, both public and private, is emphasis on a neat and clean appearance. Shrubs are removed (e.g. around the high school); the soil is stripped of its leaf cover; and people tend to think that wet soils need to be drained. The air is filled with the din of lawn mowers and leaf blowers, the better to purge the landscape of anything that might dare to decompose or protect and feed the soil. Cause and effect may come more clear with closer attention to where the fireflies shine their lights next summer. 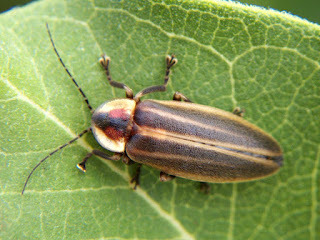 But it could explain why fireflies were so numerous in mid-summer in my backyard, where runoff from neighbors' yards and our house is welcomed and leaves are either mowed back into the lawn, used to mulch informal areas, or left where they fall beneath shrubs and wildflowers. As if the massive invasion of porcelainberry, the "Kudzu of the North", at the Princeton Battlefield were not enough, I just discovered a patch of Mile-a-Minute there. This is, fortunately, only my second sighting of the prickly, fast-growing invasive in Princeton. The first sighting was in August of 2007, when I spotted it in a flower bed across Harrison Street from the Princeton Shopping Center. For that first patch, it was relatively easy to contact the owner and convince her that it needed to be removed. The patch at the Battlefield is somewhat larger, about ten feet square, and has already produced berries that could be transported by birds to other locations. The next step is to go back with a sturdy pair of leather gloves and trash bags, and remove every last bit. That Mile-a-Minute has a small foothold at the Battlefield suggests that it could have popped up most anywhere else in Princeton, so keep an eye out. The plant is an annual with distinct triangular leaves and a prickly stem reminiscent of our native tear-thumb. It should be pulled out and, if it has berries, placed in a garbage bag and put out for the trash. DO NOT put it in the compost, because the berries could then be spread. It should be noted just how vulnerable we are to invasions of this sort. The Emerald Ash Borer's arrival in Princeton is a prime example. Accidentally imported to southeastern Michigan twenty years ago, it became established and therefore impossible to eradicate, because there was no "early detection, rapid response". Maintenance of the Battlefield grounds consists of mowing. Anything in the plant world beyond lawn requiring intervention is thus left to the chance interest and commitment of volunteers without a budget. I happened to notice the Mile-a-Minute vine while checking the status of the ornamental flowering dogwoods planted long ago along the edges of the northern field at the Battlefield. I've been cutting the vines off, most years, but the porcelainberry is becoming increasingly dominant, smothering many of the dogwoods and other trees along the field's edge. Here's a dramatic example, a dogwood barely visible beneath an oppressive cloak of porcelainberry. On a planetary level, climate change was detected, but many with power to act have lacked a basic understanding of the consequences of delay. Here's where a naturalist's experience with invasives, or even a backyard gardener's experience with weeds like stiltgrass, mock strawberry, or ground ivy, can give insight into the importance of quick response. A ten foot patch of Mile-a-Minute seems minor, but without action, its berries will spread and the problem will quickly become too intimidating to dare act against. Bureaucracies do this all the time, as with Burmese pythons in the Everglades. Early warnings are ignored, and the problem doesn't become officially recognized as a problem until it's too big to solve. Meanwhile, the vast lawn continues to be mowed, offering a superficial reassurance to passersby that the landscape is under control. This has been a stay-at-home summer, except for a few train rides into NY, but there was one walk around the block with our dog that left me feeling like I'd just been to Italy. A diminutive, elderly woman with a strong Italian accent was picking peaches from a tree that grows near the street. I commented on the bumper crop, and she gave me a few to take home. Her husband had died a few years earlier, but her son cares for that enduring legacy of food-bearing trees left behind. The yard is essentially an orchard, reminiscent of backyards I saw years ago from the Dinky-like Circumvesuviana train in Italy, packed with fruit trees and vegetable gardens. In Princeton, such a yard will be ringed by a strip of lawn, in a gesture of conformity to America's curious lawn fetish. If I were to imagine an ideal yard, it would be filled with gardens and fruit trees, with solar panels (they're free now!) on the roof. Shade trees along street's edge would keep the asphalt cool while somehow not shading the food-bearing plants too much (we're talking ideals here). The Italian tradition, exemplified by a number of yards around town, at least show how the food portion of that ideal can be realized. It looks to have been a great year for growing apples. Just down the street, a young couple has planted fruit trees in their yard and solar panels on their roof. I hope the wisdom behind all this horticultural success is being documented and passed along. It would be heartening, and fortifying, to see this remarkable tradition in Princeton continue and expand, and see Italy's impact on Princeton's backyards equal the architectural legacy immigrant Italian stonemasons left behind. 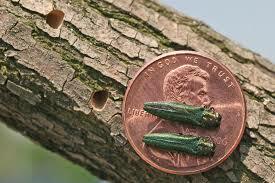 "Emerald Ash Borer (EAB) was found in a trap set by the town arborist out along River Road. This small green insect, accidentally introduced to our continent from Asia, probably in wooden packing crates, has been spreading outward from its original introduction in the Detroit area, killing 100s of millions of ash trees. The insect will spread across Princeton over the next few years, eventually affecting all ash trees that haven't been treated. Highly valued ashes can be injected in springtime with an insecticide. The treatment can provide protection for several years. Of the various chemicals available, I've heard the most praise go to Arbor Mectin. Tree-Age has a similar formulation." So, what happens now, and what can we do about it? Princeton's arborist, Lorraine Konopka, sees this slowly evolving catastrophe following a fifteen year arc. In the first five years, EAB will spread around town, building up its numbers with each new generation. Symptoms are slow to manifest, but in various ash trees we'll start seeing dieback starting at the top of the crown and working its way down. Many ash trees are already suffering from ash decline, notably a disease called ash yellows, making it even harder to know for certain when EAB has invaded a particular tree. Homeowners will be forced to choose between spending hundreds of dollars every few years to treat favorite ash trees with systemic insecticide, or spending thousands of dollars later on to remove their dying ash trees before they become brittle and dangerous. The five years that follow will be marked by radical dieoff, both in town and in our nature preserves. Some woodlands where ash trees dominate will be decimated. We'll see otherwise green hillsides dotted with skeletonized remains of ashes. The five years after that, more or less, will see the last untreated ash trees succumb. The population of EAB will drop dramatically, but protected trees will continue needing new injections of insecticide, though potentially less frequently. Ash trees will still be found in nature preserves, but likely get attacked as they grow towards maturity. More on the aftermath at this post, written after a visit to Ann Arbor, MI. 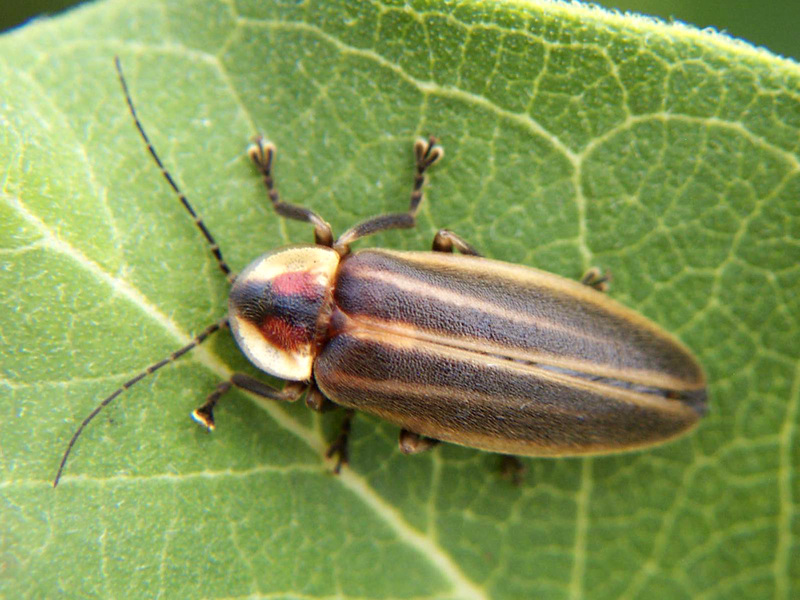 According to an EmeraldAshBorer.info webpage, the Emerald Ash Borer hatches into an adult in May and June (coincidentally, emergence is said to begin around the time that black locusts bloom), flies to new areas and mates in June and July, then lays its eggs in August. The larvae feed just inside the bark in the fall, then overwinter as pre-pupae before hatching into a new generation of adults the next spring. So it's not surprising that the first confirmed sighting of an emerald ash borer in Princeton happened in late July, when one was found in a trap placed near River Road by the town arborist. Previous documentations in the area were in Bridgewater, West Windsor and other towns. Homeowners will need to decide, over the next year or two, which if any ash trees they wish to treat. The expense of recurrent treatments, and the ongoing benefits of the tree, need to be weighed against the cost of removal. This definitive article recommends treatment of trees if EAB has been found within 10-15 miles, which is now the case for Princeton. Treatment is most effective in the spring, between mid-May and mid-June, just after the tree leafs out. The article confirms the superior performance of emamectin benzoate, the active ingredient in Arbor Mectin and TreeAge. This insecticide may be more expensive than others like imidichloprid, but lasts longer and has a higher success rate. For more on my research on this issue, scroll down at this link to "How to save specimen ash trees". Woodpeckers are said to eat 80% of the EAB, but that's not enough to stop it. There are native parasitic wasps that also prey on EAB, but not in sufficient numbers. Some parasitic wasps species from the EAB's native range in Asia are being introduced (hopefully with a great deal of prior testing to show they won't prey on our native insect species), but I doubt they will influence the arc of Princeton's infestation over the next decade. An article in the NY Times discusses techniques to stimulate the defense systems of ash trees so that the tree itself will manufacture sufficient chemical defenses to ward off EAB, but again, any practical use is highly speculative. What's a Dead Ash Good For? Strangely, there seems to have been no planning at any governmental level to at least put the coming surge in dead wood to use. Talk of sustainability and the opposition to fracking and natural gas pipelines are weakened if we ignore local sources of renewable energy. Lacking wind, we need to turn to sunlight. 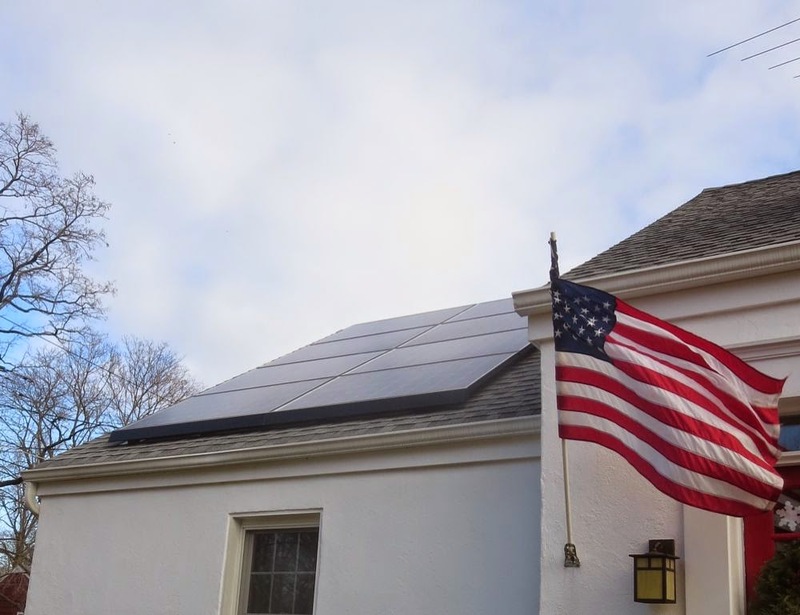 Solar panels, now essentially free to install, are an obvious option, but for some reason wood is being ignored. Europe has clean incinerators that generate energy from wood chips. Ann Arbor trucked its ash trees to an energy-generating facility in Flint. Unlike the carbon from fossil fuels, carbon from trees comes from the atmosphere, not from underground, so there is no net increase in above-ground carbon when wood is burned. Composting requires considerable fossil fuel for turning and transporting the compost, and decomposition releases as much carbon as burning. In addition, the EAB invasion is coming just as Princeton's collection of loose yardwaste is being expanded. There is no effective incentive yet in place for homeowners to trim their dependence on this costly program, and the addition of 1000s of ash trees to this already over-burdened collection service could overwhelm the capacities of the public works department and local composting sites. Possibly relevant, the state compiled this list of "Forest Industry Professionals Accepting Ash Trees". "In Princeton, we will over the next decade likely witness a dieoff approaching the scale of the chestnut and elm dieoffs of the 20th century, as the emerald ash borer, which hitch-hiked to Michigan from Asia in wooden packing crates, continues its spread eastward. There will, in other words, be a lot of gaps in the canopy for the chestnut to claim, if its return is successful." That last part, about a resurgent American chestnut filling the gaps as we lose our ashes to the Emerald Ash Borer (EAB), as the previous post about chestnuts shows, was a nice concept but overly optimistic. Here's a particularly extensive post on EAB, in which I included notes from a phone call with the division chief of Forest Pest Management in Pennsylvania, where they've been dealing with EAB for years.